The Dar es Salaam Port has launched the One Stop Centre (OSC) designed to increase efficiency by speeding up documentation and reduce the average time ships currently spend docked from nine to five days. The OSC is currently housed in temporary quarters at the port but will move to a permanent 35-storey building, currently under construction, adjacent to the headquarters of the Tanzania Port Authority (TPA) which provided the site. The 100bn/- construction project is expected to take three years and will bring 11 government agencies together under one roof. Washington's foreign aid agency USAID provided $50,000 towards computer equipment and furniture for the centre. 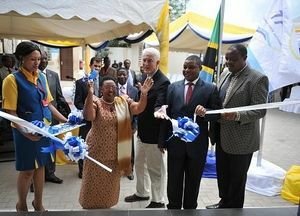 The OSC is the first of its kind in Tanzania, and paves the way for the opening of similar centres at the country's ports and key border posts, according to the minister for investment and empowerment Mary Nagu. 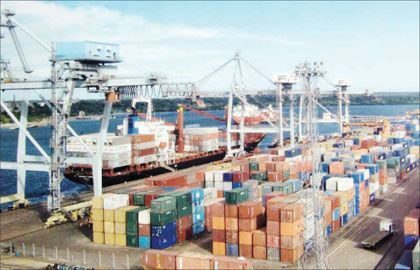 Dar es Salaam port handles about 95 per cent of the Tanzania international trade, and serves six neighbouring landlocked countries.